That quote came from Richard Florida, an economist and social scientist who authored The Rise of the Creative Class… over fifteen years ago in 2002. Florida argued that creative work is not exclusively about artistic pursuits but rather a focus on generating new ideas and solving complex problems. He maintained that creativity was a critical skill for people to develop and for cities and businesses to foster if they wanted to thrive in the coming century. It was an idea that took time to build momentum. Design thinking, the notion of using the same creative strategies designers employ to solve problems, was gaining traction around the same time. Ideas about creative work generated plenty of conversation – and Florida’s work spawned its share of debate— business leaders weren’t losing a lot of sleep over the creative output of their organization. They were far more focused on efficiency, getting lean and going global. Fast forward to today and creativity is an idea whose time has come, on multiple fronts. Cities around the world that fostered great environments for creative work have thrived, as Florida suggested. People who lived through the cost squeeze of multiple recessions are looking for a deeper sense of meaning and purpose from their work, and stretching their creative muscles helps scratch that itch. Meanwhile, recent college graduates aren’t content to sit in a beige cubicle and do routine work just to make a paycheck, causing employers to rethink their strategies for attracting new talent. 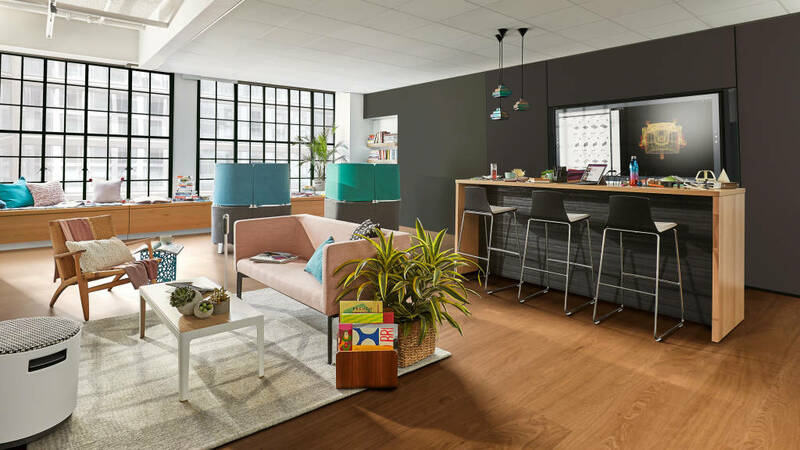 The intentional design of space for creative work, paired with the right technology can help accelerate the creative process. At the same time, emerging technologies have grown so exponentially that they’ve ushered in “The Fourth Industrial Revolution,” according to Klaus Schwab, founder of World Economic Forum. “We stand on the brink of a technological revolution that will fundamentally alter the way we live, work and relate to one another,” he states. “In its scale, scope, and complexity, the transformation will be unlike anything humankind has experienced before.” Faced with these kinds of advances –which offer opportunities as well as stiff competition and disrupted markets – businesses realize that they can’t cost cut their way to growth. They need to refocus innovation. And it’s this drive for innovation, in increasingly complex conditions, that is causing a macro shift toward more creative work. In many organizations, however, creativity isn’t bubbling up spontaneously. Most employers say their organizations aren’t creative enough and most employees say they’re not living up to their creative potential on the job, according to Adobe’s State of Create 2016 study. Contrary to popular myth, creativity isn’t about a “Eureka!” moment that happens among truly brilliant people. Creative work is a process in which everyone can engage, if the conditions are right. 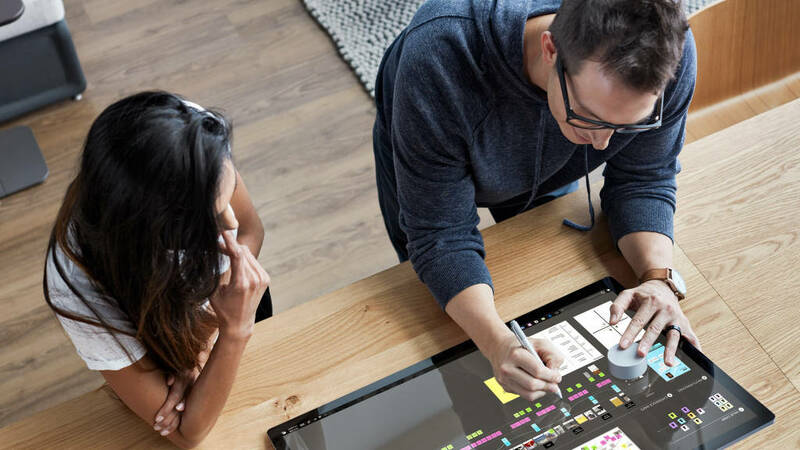 Steelcase and Microsoft joined forces to begin thinking about the challenges organizations and people face as they try to engage in more creative work. Understanding that both space and technology have a role to play in supporting this work, it was critical to begin with insights on how creativity happens. Yet, despite the desire to be more creative at work, the majority of people don’t believe they’re living up to their creative potential. The solution is finding the right balance between convergent and divergent thinking, and having the right range of spaces and technology to support all the diverse stages of creative work. 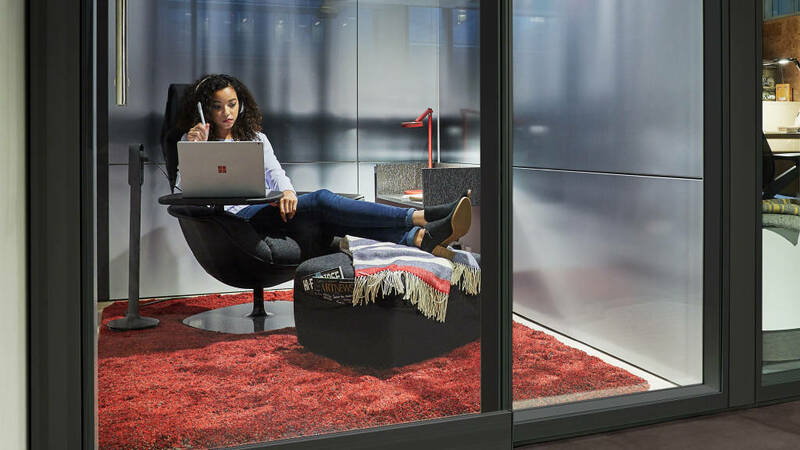 In a recent Steelcase and Microsoft study, people reported the things that would help them be more creative are to have more time to think and time to be alone without disruptions. 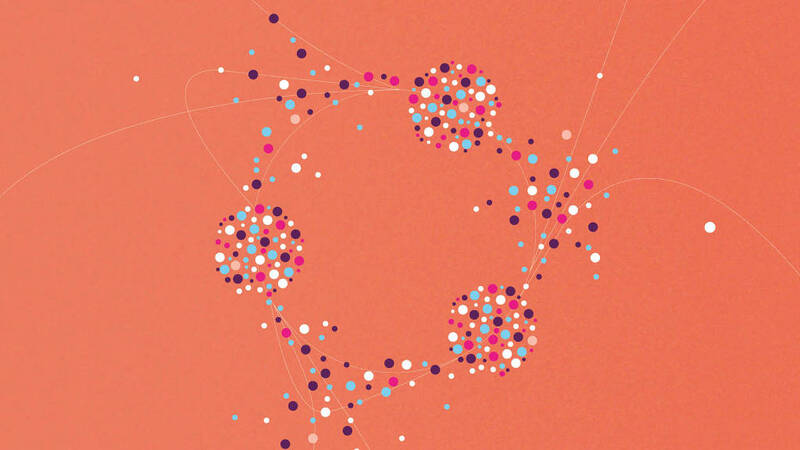 Dive deeper into our creativity research. Register to download 360 Focus immediately. Maker Commons: Socializing ideas and rapid prototyping are essential parts of creativity. This space is designed to encourage quick switching between conversation, experimentation and concentration. The collaborative side of creative work is not without its challenges either, despite the investments organizations are making in group work spaces. 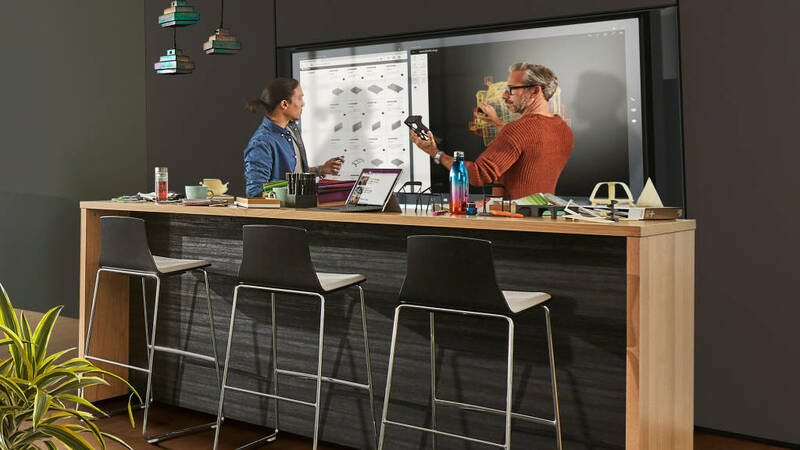 The vast majority of leaders feel they’re providing the right kinds of spaces for group collaboration, but only 25 percent of respondents in the Steelcase/Microsoft study said their spaces for groups and teams are good places for creative work. Creativity is fundamentally about problem solving. 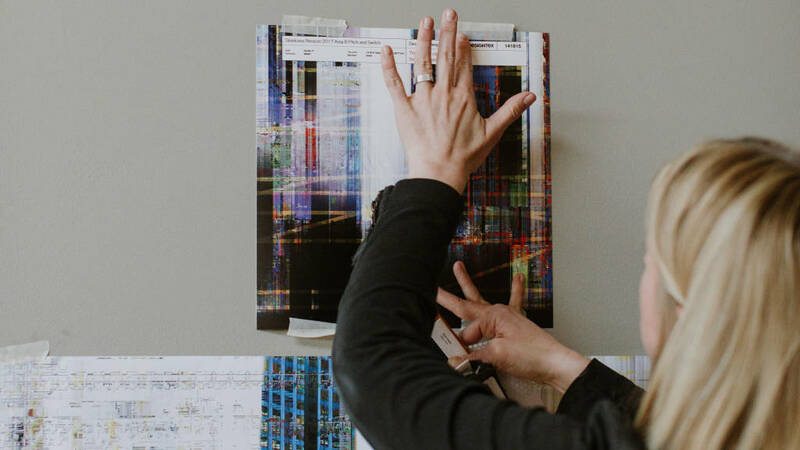 This means it’s difficult, iterative and messy – an often nebulous exploration of unknowns. It also means creative work is intensely demanding – physically, cognitively and emotionally. Just one type of solution can’t support the range of people’s needs. Focus Studio: Individual creative work requires alone time to focus and get into flow while also allowing quick shifts to two-person collaboration. It’s a place to let ideas incubate before sharing them with the group. 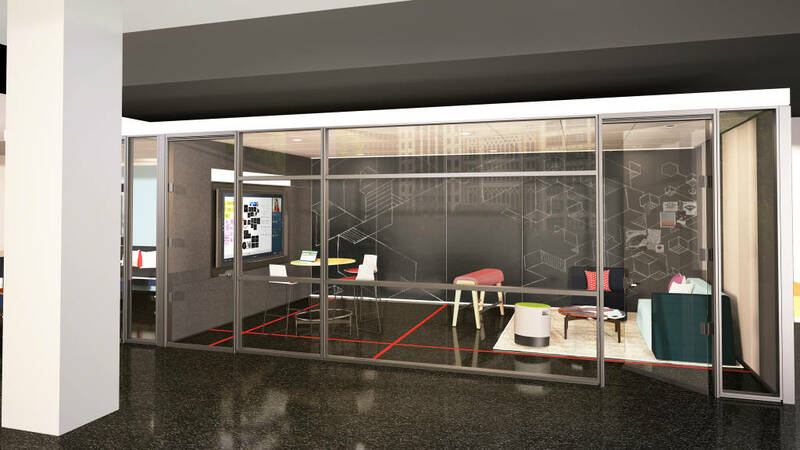 Ideation Hub: A high-tech destination that encourages active participation and equal opportunity to contribute as people co-create, refine and share ideas with co-located or distributed teammates. 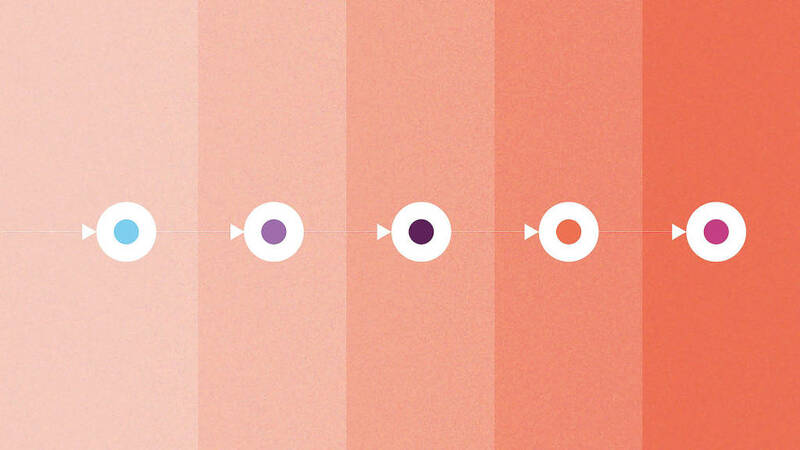 Duo Studio: Working in pairs is an essential behavior of creativity. This space supports a trust relationship in which two people can co-create shoulder-to-shoulder, while also supporting individual work. It includes a lounge area to invite others in for a quick creative review or to put your feet up and get away without going away. “Traditionally, technology has not always been leveraged during the early stages of the creative process,” says Groene. This can put people and teams at a disadvantage. Something arises in our heads. It’s usually incomplete and we jot it down, find a whiteboard and pull in colleagues. Computers usually came in at later stages. But now technology can be a tool to amplify our thinking throughout the entire process. We can take our content with us wherever we want to work. It will always be there, with the right security and the speed of light,” he explains. Respite Room: Creative work requires many brain states, including the need to balance active group work with solitude and individual think time. 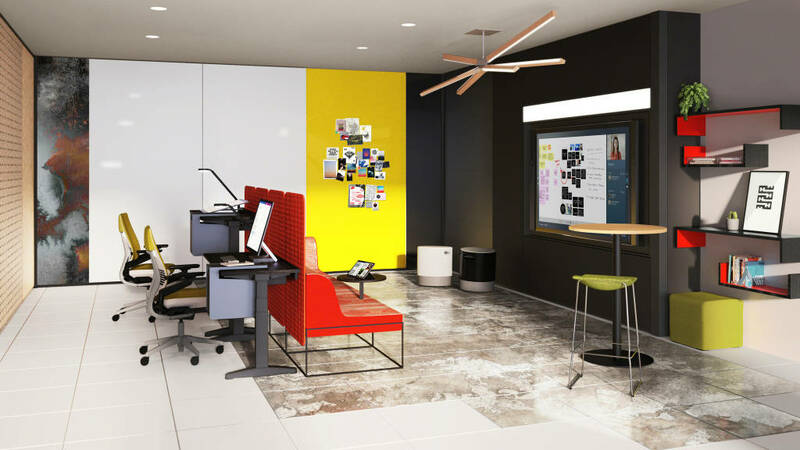 To help organizations accelerate the shift toward more creative work, Steelcase and Microsoft co-developed Creative Spaces, an interdependent ecosystem of spaces and technologies designed for the diverse modes of creative work. This space supports a full range of posture—seated, standing, lounging, perching— encouraging movement without breaking flow. 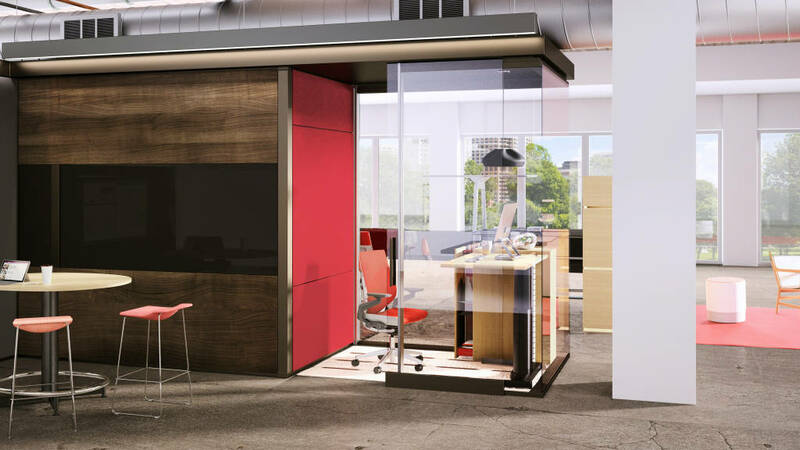 Brody® Worklounge is a micro-environment for privacy and focus in open areas with included amenities, like integrated lighting, power and bag storage. 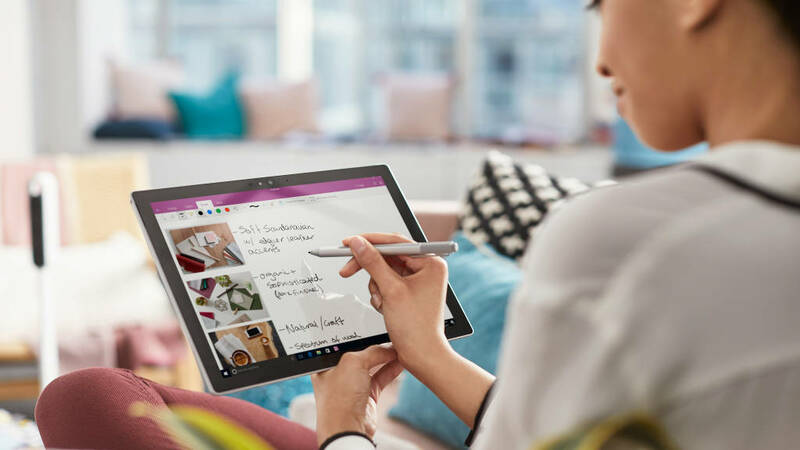 The Brody screens create a cocoon within the open plan to sketch or take notes on your Surface Pro4 between brainstorms. Centrally located in the ecosystem, this space is a communal atmosphere to gather and play with new ideas. It allows people to shift easily from “me” to “we” activities and different stages of the creative process. 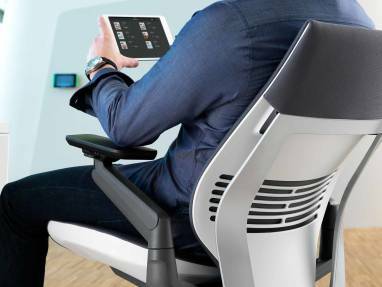 The Gesture™ chair supports the wide range of postures people take when using the Surface Studio with Surface Dial and Surface Pen to create; The AirTouch™ table lifts with just a touch to switch quickly and effortlessly from sitting to standing to encourage movement and boost energy. The space is configured to keep information private and reduce visual distraction. V.I.A.® walls keep ambient noise out so you can stay in flow. Stool height seating encourages movement and quick shifts from interaction with personal devices to group collaboration at the Surface Hub™. 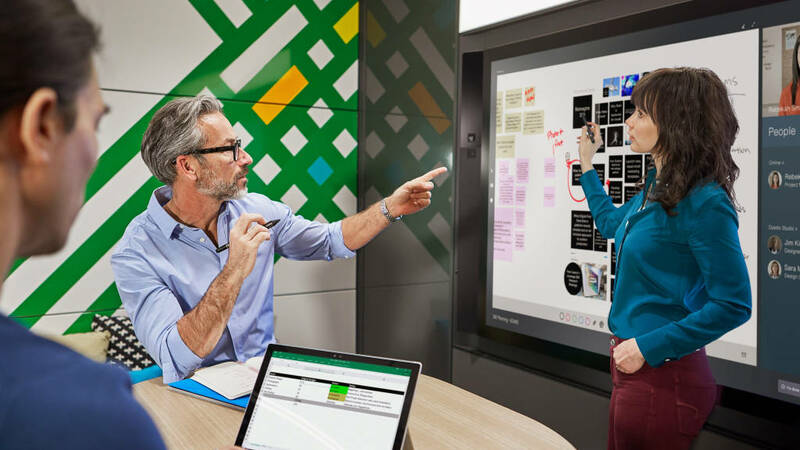 V.I.A.® walls integrate the Surface Hub and provide unparalleled acoustic privacy to prevent disruptions and enhance remote user participation via Skype for Business. The furniture elements are scaled to allow ample circulation and the ability to engage or step back from the action and reflect or gain a different perspective. 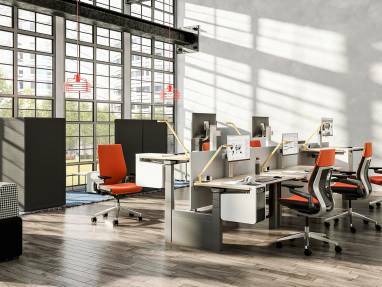 Ology™ height adjustable tables are side-by-side, making it easy to sit or stand, work individually in parallel or lean over to collaborate, maintaining flow and consistency using Suface Dial and Surface Pen. 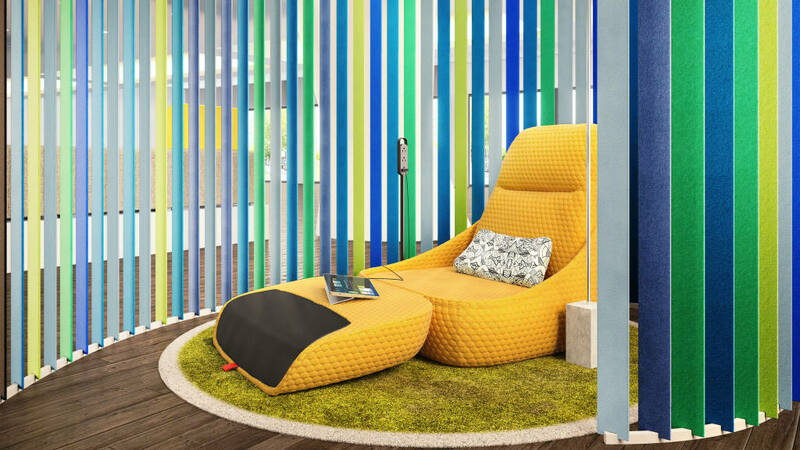 Umami™ lounge creates a place to relax and reenergize during intense work sessions. V.I.A.® walls help mitigate distractions from ambient noise and allow private conversations — in the room or with remote participants on Skype for Business —to stay that way. 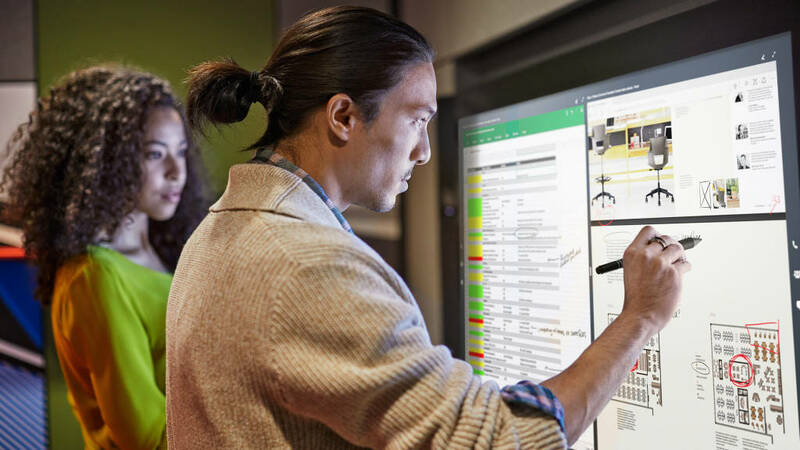 The “I’m Done” security feature on Surface Hub safely removes all content from the previous session to encourage rapid starts for new collaboration. The configuration is an intimate environment that supports easy access to technology, storage, analog content and your teammates. 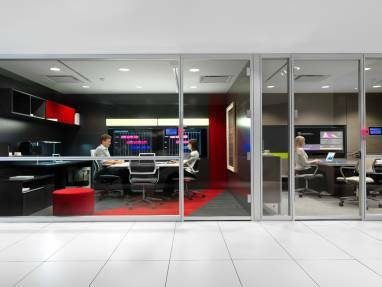 It offers an informal, theater-like setting for reviewing work at the integrated Surface Hub™. Relaxed postures can help support diffused attention and allow the brain to wander which can lead to ‘Eureka!’ insights. 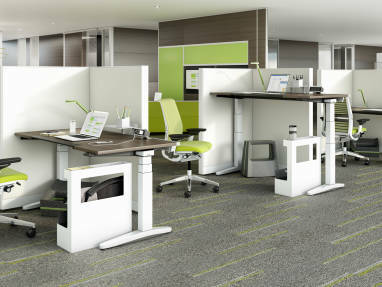 It also supports active brainstorming while away from your personal workstation. 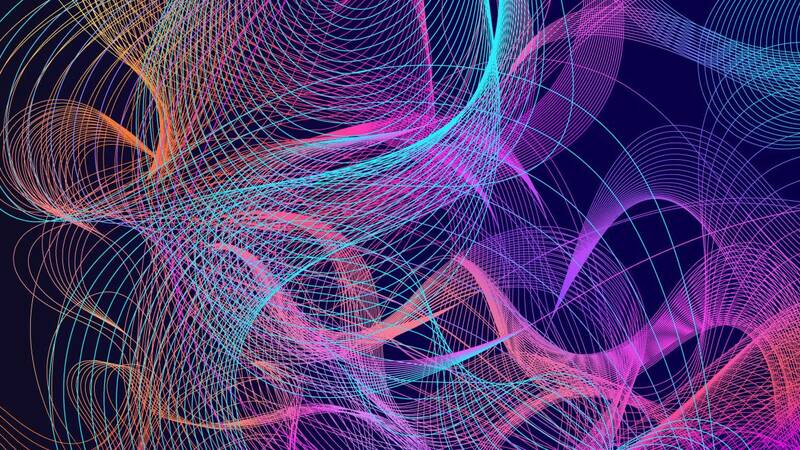 Boundaries create visual relief reducing external stimuli, and allow the brain to rest, form new connections and access spontaneous ideas. Thread™ Modular Power makes it easy to charge devices.